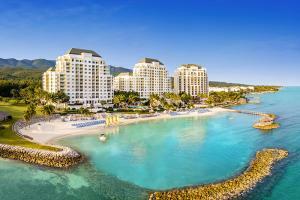 Miles and miles of excellent beaches make Jamaica one of the top destinations for beach travel in the Caribbean. This truly is a place to relax, unwind and take life a little slower for a time. The island is home to a variety of resorts, from upscale hideaways on forgotten beaches to all-inclusive complexes where the party never stops. 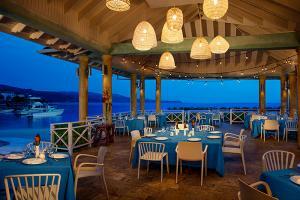 Whether you're looking for a romantic getaway or the family trip of a lifetime, you'll find accommodation in Jamaica. There's more to Jamaica than beaches, of course. Venture outside the resort and find your own vibe, whether it's exploring the island's jungles and waterfalls or immersing yourself in the unique food, music and people that have made this island the household name it is today. Jamaica, Montego Bay Our 4-Star classification designates those properties with well-appointed, deluxe accommodations, extensive amenities and comprehensive guest services. Expect attention to detail and a warm and hospitable staff ready to cater to your needs. These superb properties offer a truly refined getaway. All-Inclusive - This charming resort offers guests an enhanced Unlimited-Fun® Caribbean escape, where everything is included. Jamaica, Ocho Rios Our 4-Star classification designates those properties with well-appointed, deluxe accommodations, extensive amenities and comprehensive guest services. Expect attention to detail and a warm and hospitable staff ready to cater to your needs. These superb properties offer a truly refined getaway. 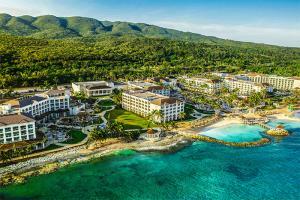 All-Inclusive - Jamaica’s premium all-inclusive adults-only oceanfront beach resort offers spacious guestrooms, butler-service suites, superb dining and more. Rose Hall Our 4.5-Star classification designates those properties with well-appointed, deluxe accommodations, extensive amenities and comprehensive guest services. Expect attention to detail and a warm and hospitable staff ready to cater to your needs. These superb properties offer a truly refined getaway. Half star indicates that the hotel/resort meets all criteria of the designated rating and exceeds in certain areas. 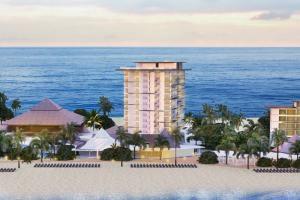 All-Inclusive - This brand new beachfront resort located just five minutes from downtown Ocho Rios offers many of the signature amenities travelers have come to love from Palace Resorts. Montego Bay Our 4-Star classification designates those properties with well-appointed, deluxe accommodations, extensive amenities and comprehensive guest services. Expect attention to detail and a warm and hospitable staff ready to cater to your needs. These superb properties offer a truly refined getaway. 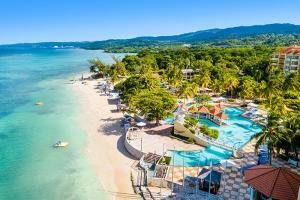 All-Inclusive - A sheltered swimming beach and first-class service make this the perfect Montego Bay escape. Caribbean - $100 OFF offer: Valid on new bookings at participating resorts made 3/18 - 4/21/19 for travel 3/18 - 12/22/19. Roundtrip airfare and minimum 3-night stay at a participating hotel or resort required. Discount is per booking, taken at time of booking and reflected in rates shown.